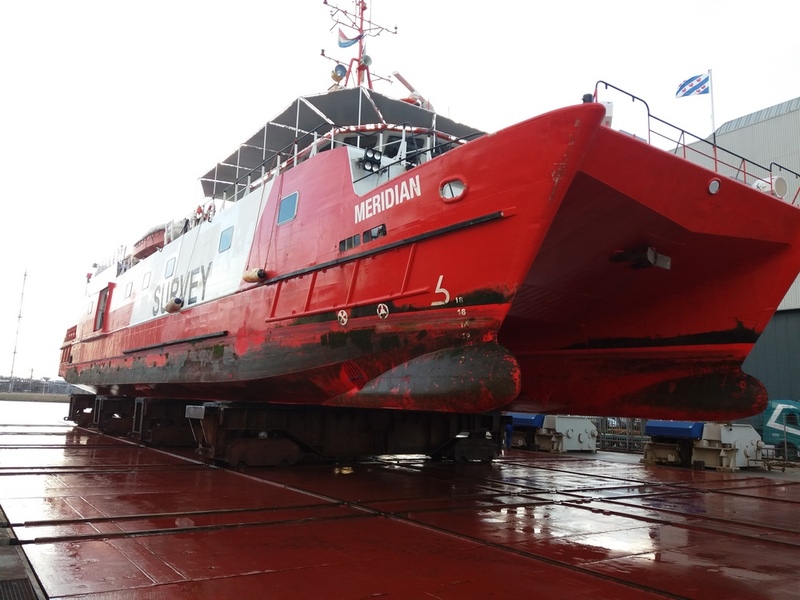 Damen Shiprepair Harlingen has completed maintenance and repair works on the Fugro Mercator, a twin-hulled survey vessel operated by Fugro. Fugro Mercator is a 42.35-metre survey vessel deployed in some of the most challenging locations by Fugro for bathymetric and geophysical surveys, cable and pipeline route surveys. The vessel’s visit to DSHL was a scheduled docking for maintenance and repair works. After working on several Fugro vessels over the years, DSC has established a strong relationship with them. “In terms of safety and working procedures, in particular, we know each other’s standards. This makes for a smoother docking period, allowing all involved to focus 100 per cent on the job at hand,” Mr Sebel concludes.